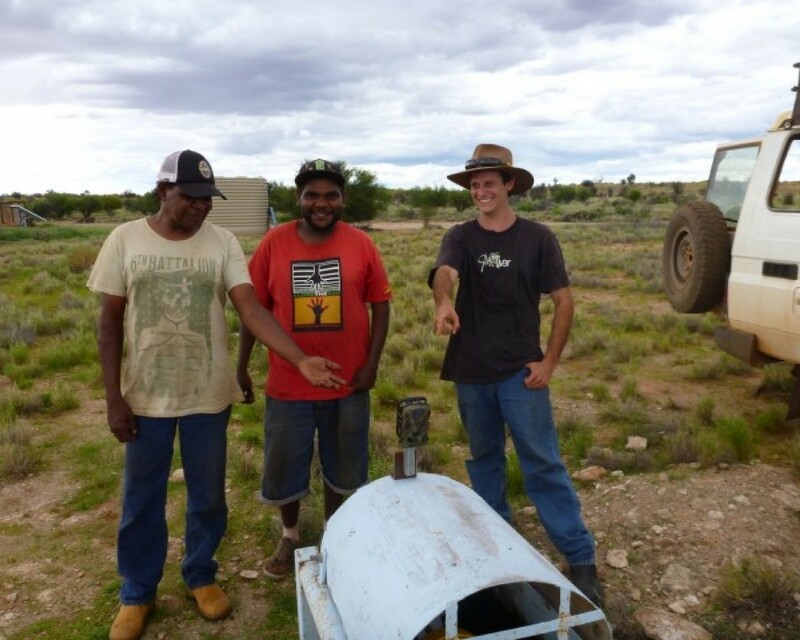 AWS staff and Angas Downs rangers have installed some remote infrared cameras across Angas Downs to capture native and pest animal movements to watering points. 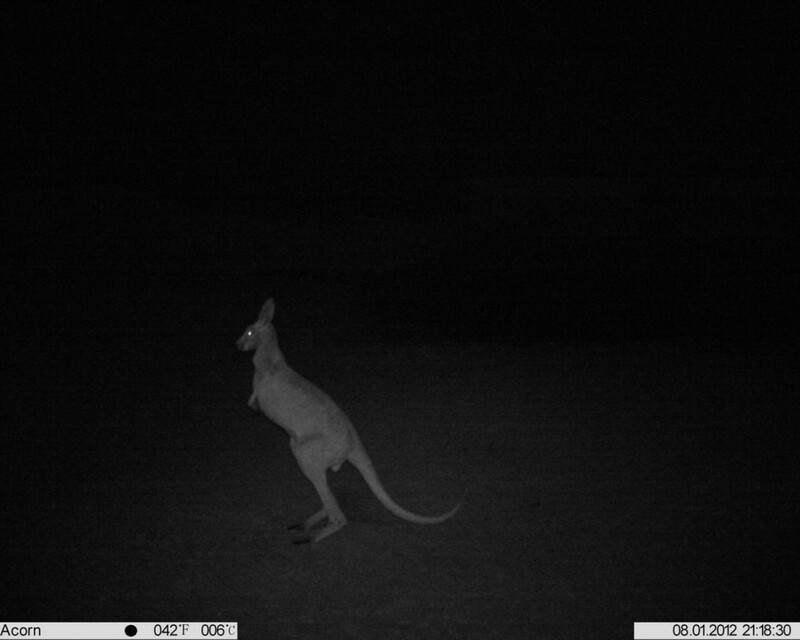 The cameras, 12 MP Acorn LT1 Night Vision cameras, have a blue flash that is invisible to animals. It records photos and videos in both day and night mode. 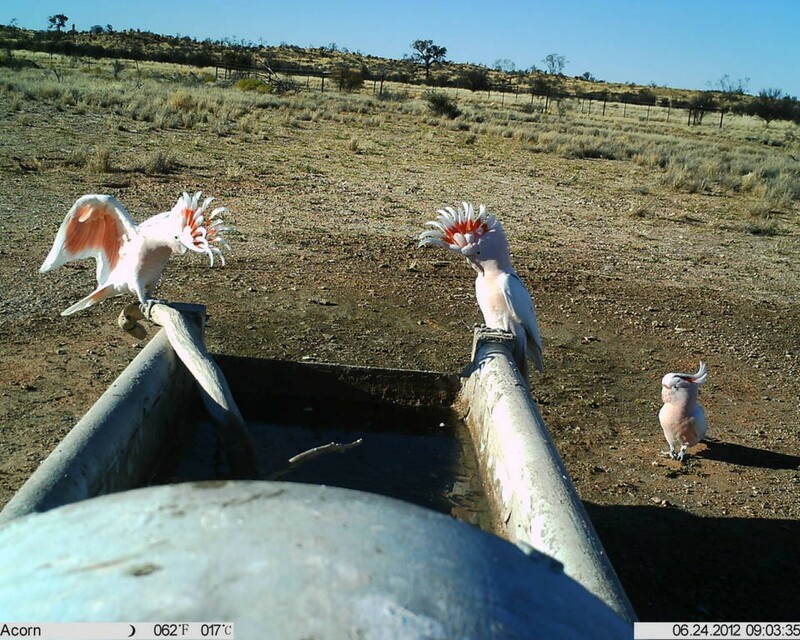 Captures include kangaroos, birds, horses, cattle, camels, emus, dingos, cats and foxes. Foxes hadn’t previously been identified as occurring in the area until these remote cameras were put in. 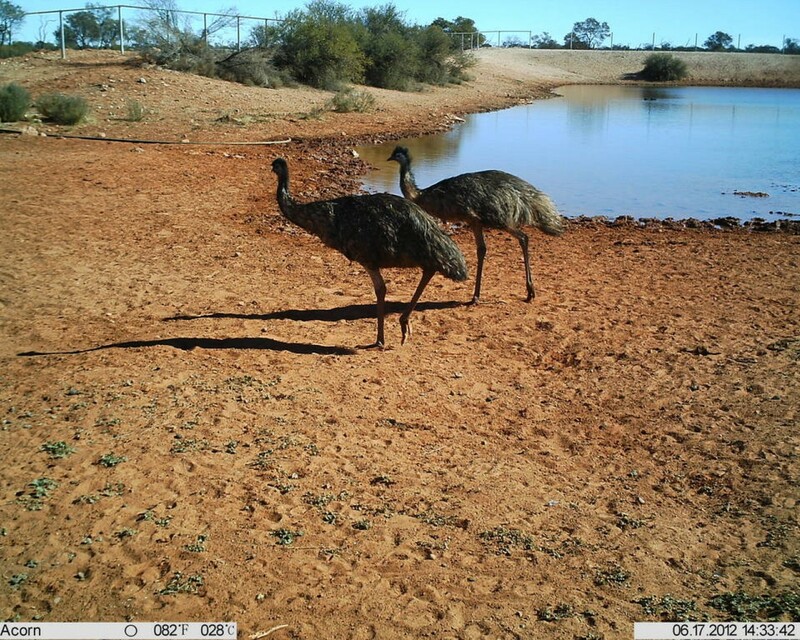 Beautiful videos of Emus, Bronzewings, Hooded robins, a Little Eagle, Wedgetails, Brown Goshawks, Major Mitchell’s Cockatoo checking themselves out in the water reflection, and Bourke’s parrots are some of the bird highlights. 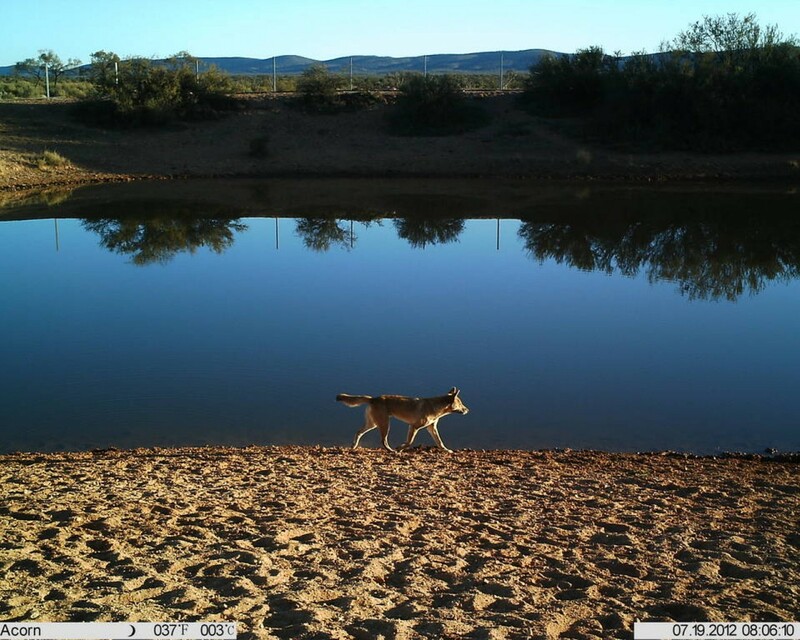 The rangers will use the cameras to make management decisions such as where to set cat traps and to see which waters are important for native species and kuka (game species). The cameras will be even more successful when the landscape dries up. 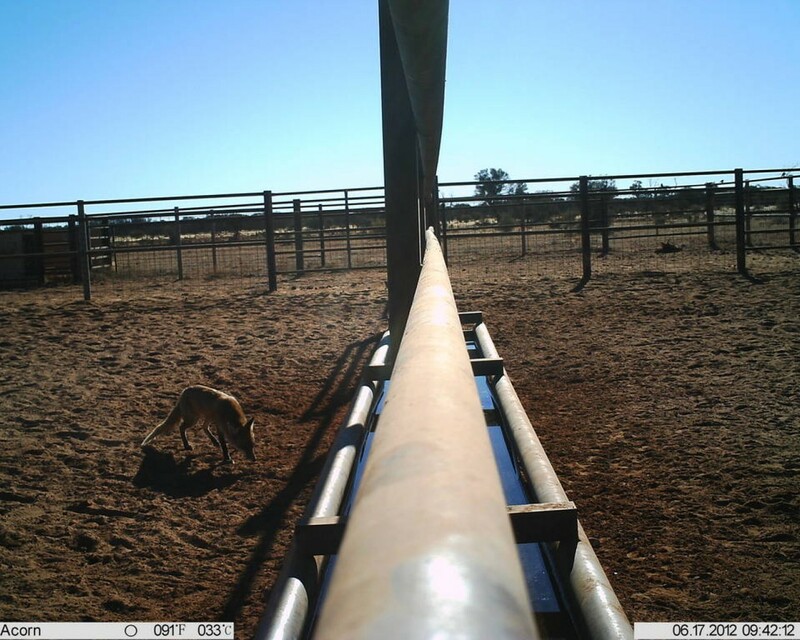 ABC Country Hour also reported on Angas’ use of remote cameras – click here for transcript and audio.